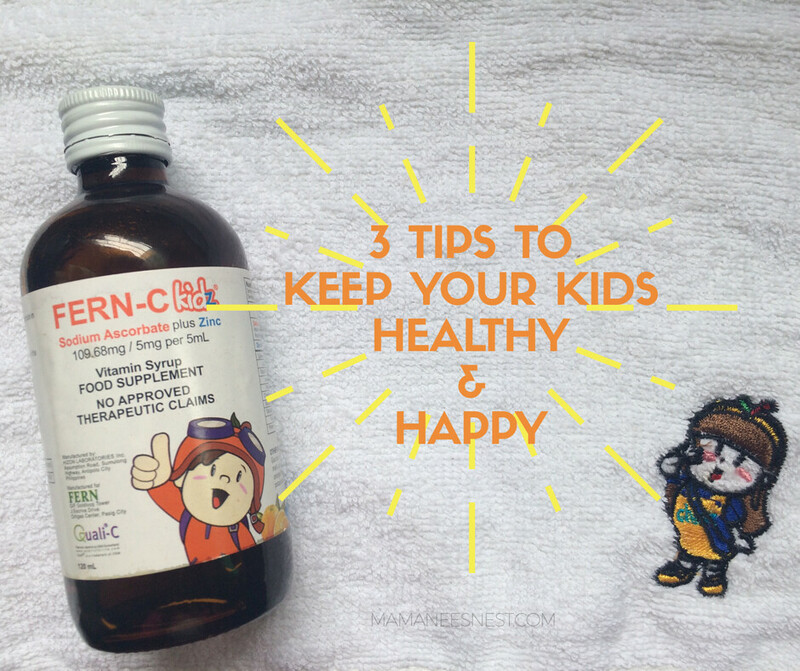 3 Tips to Keep Your Kids Healthy and Happy! Whenever my hubhub describes me as a mother his first word that pops out of his mouth is "strict." Ok so I am, I totally admit to it. I am strict when it comes to their needs. I want them to be both healthy, happy and strong. Who doesn't right? I want to make sure their diet isn't overloaded with junk food and that they remain healthy. The absolute horror for a mother is to bring their kids to the emergency room of the hospital. So as a mother, our instinct is to protect, diba? 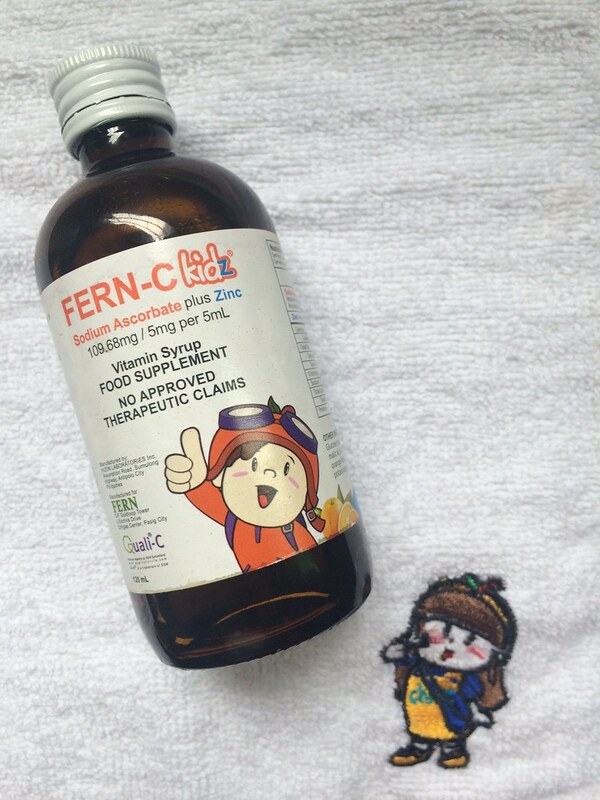 I vouch for Fern-C to protect me from getting sick and now I can pass it down to my kids with Fern-C Kidz! Give them time and the right attention everyday. The simple eating of meals together really makes a difference and assuring them of your presence and support. Obesity is one of the prominent issues in youth today. So make sure to introduce them into a healthy eating habit. Avoid processed and junk foods. Strengthen their immunity and resistance by giving them vitamin C which makes Fern-C kidz the best choice. My Lusog Saya little lass! Fern-C Kidz is Sodium Ascorbate which is bettar absorbed by the body versus Ascorbic Acid plus with Zinc which can strengthen their bodies against illness. Fern-C Kidz is a product of Fern Incorporated with the Quali-C Seal that assures you of its quality and efficacy. Fern-C Kidz comes in a delicious Orange flavor which your kids are sure to love and what will make your kids "resistensaya, lusog-saya!" 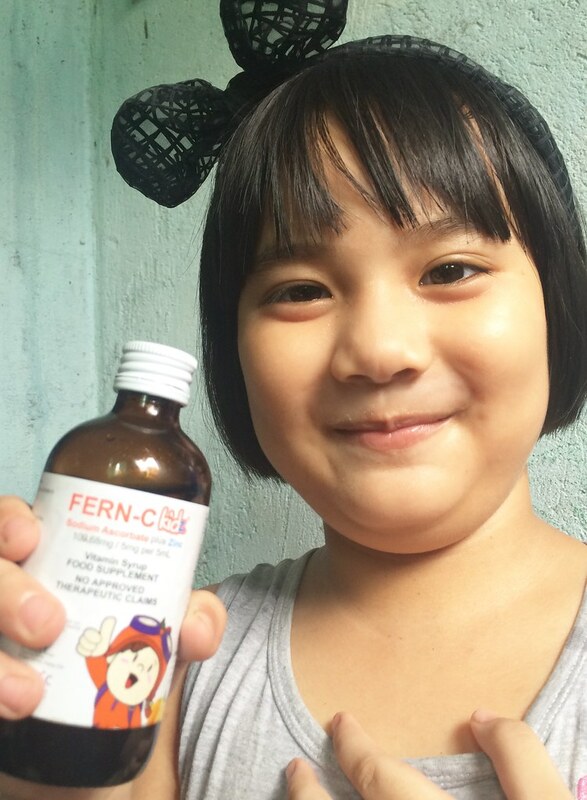 FERN-C kidz is now available in leading drugstores and supermarkets nationwide at affordable prices of Php62.00 per 60 mL bottle and Php 119.00 per 120 mL bottle. Check out their Facebook Page Here for more info and promos. One of the Vitamins I use sa anak ko.. Maganda din po tlga yan sa katawan ng bata.